The following conversation was assembled in 1994 from the electronic correspondence of several Alfa enthusiasts who gathered on what was then termed the new "Information Super Highway" to remember one of the great personalities of Alfa Romeo history. Carlo Chiti could be called the father of modern racing. Among his many accomplishments Chiti developed the periscope air intake, the mid-engined race car and the rear spoiler which evolved into today's rear wing. He was directly responsible for development of the Alfa Romeo factory racing program and all race cars built between 1965 and 1983. The writer and producer of this article, Robert Little, had this article published in the September 1994 issue of the Alfa Owner magazine in the USA. "Another Alfista has gone to the big test track in the sky. The remaining few are watching the end of an era. The tradition and memories soon become 'History' to be preserved by you, the enthusiastic reader." 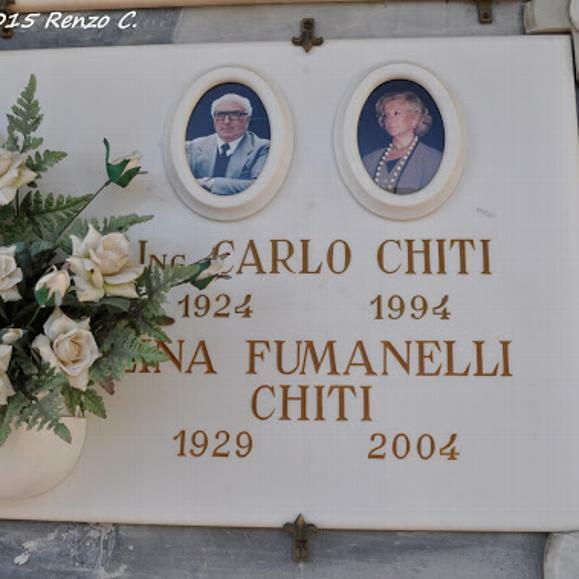 At High Noon on the day of Carlo Chiti's funeral, The People of Italy joined together for three minutes in solitary observance....of his achievements and of their universal sadness of his passing. I hope you enjoy this serialized glimpse 'behind the curtain' of this truly remarkable Alfa Romeo leader and his group of highly dedicated men. This is your History to preserve. Pass it along. Pat Braden: It was Don Black who faxed me the news that Carlo Chiti died on July 7th, 1994. 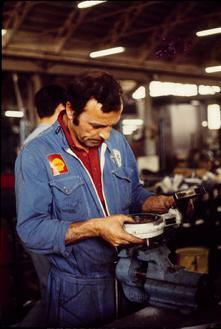 I should probably begin with some factual information, so Alfa Owner readers will understand just who Carlo Chiti was. 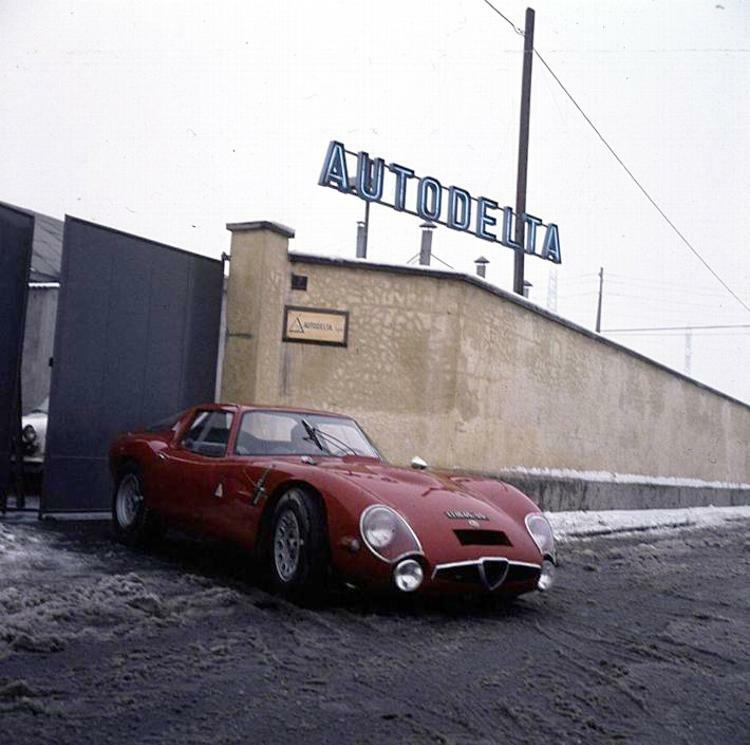 Just as Ferrari had campaigned the great Alfa Romeo cars of the 1920s and 30s under the Scuderia Ferrari prancing horse logo, Chiti's Autodelta organization was responsible for the Alfa Romeo racing successes of the '60s and '70s, including the cars which gave Alfa the 1975 World Championship and the 1977 Sports Car World Championship. Bob Little: Chiti was the end of an era. He was the last one of that Golden Era alive, except Don Black. There is no one else in the world from that period and of that grand stature. Braden: I'll have to respond to that for Don, since he's modest about this point. I also need to explain that Oscar Feldman, Bob Little, Don Black and Dr. Paul Tenney have all known Chiti as a friend. Oscar co-drove with Gaston Andrey in the middle '60s. Paul served as Autodelta's resident U.S. race physician for a period and Bob, I think is one of the highest seniority employees still with the firm. 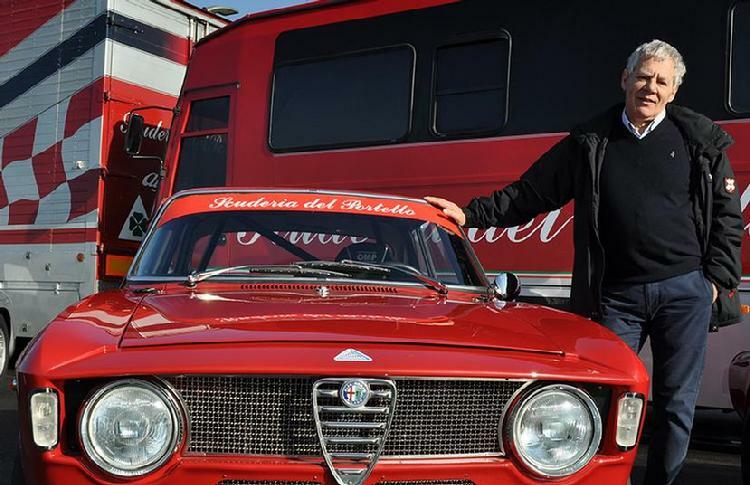 Don's position as the Alfa Romeo, Inc. chief engineer in the United States gave him the opportunity to work closely with some of the great individuals I've only read about. For example I've only met Orazio Satta. Don was his good friend. So he has lots of personal anecdotes about Alfa greats, including Chiti. Don Black: Like the time he had Surace (Alfas VP of research and development) on his boat with him in the harbor at Viareggio. Chiti was at the helm and Surace was in the bilge looking at one of the twin Alfa I-Os. Chiti was yelling, "I am the captain, you are only the cabin boy..." as the boat turned in circles. 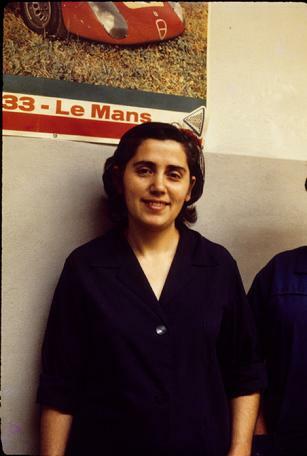 Little: Chiti was always properly addressed as "Ingeniere" by employees and associates. 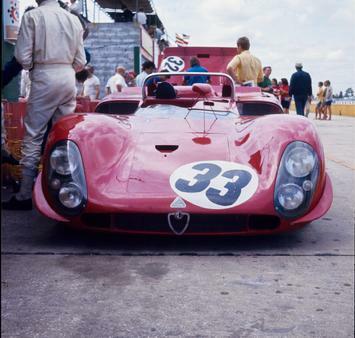 He gave me my first job at Alfa as a 'gofer' at Sebring. He also showed me the passionate and compassionate inner world of Alfa Romeo that endures to this day among Alfa Romeo enthusiasts. Oscar Feldman: He had several different personas. During working hours he was as tough as nails, impossible at times. He had a bellowing voice and when he yelled at the top of his lungs it could be heard thoughout the factory. After the blow-up, though, he was always as pleasant and delightful as could be. Little: One of Chiti's darkest moments was the 1972 Targa Florio when Alfa lost by 17 seconds to Sandro Munari's 312T Ferrari. During the race, one of his team drivers had to stop alongside the road briefly due to reasons that are not entirely clear. After the race Chiti was absolutely furious. Black: Away from automobiles and racing Chiti was quite a different person than the media made him out to be. Actually, he was very likeable. I'm convinced that some of his "image" was the result of his crafty sense of humor. In reality, once you let him know that you knew he was trying to get the best of you, he would let down his shield. Chiti was usually found hanging around with my old boss Filippo Surace. They seemed inseparable. This pair was a living Laurel & Hardy film. One-liners and sight gags were the order of the day, though not actually planned that way. Dr. Paul Tenney: He could be a sight gag, a real Charlie Chaplin. I'll always remember how he held a telephone with his fingertips, like it was an alien object. Black: Do you know anyone who would name his dog after his wife? A riot. Carlo would call "Lina". If his wife answered, Carlo would reply: "Not you, the other dog." With his limited English vocabulary, he always could clarify "Lina dog" or "Lina wife" for outsiders. I loved the scene: it was a master stroke of humor. And his beautiful wife had the patience of a saint. Braden: Chiti spoke some English? Black: Remember the 150 degree temperature in the pits? I can still see Chiti, sleeves rolled up but his vest still on. Tenney: Yes, he made his engineers wear suits and ties. Feldman: Gus Andrey told me about the 1965 Sebring when he and Zeccoli opened a cooling hole in the Autodelta TZ-2 because it was so hot. All hell broke loose when Chiti found out, but it ended with the cooling hole remaining. After the blow-up, Chiti had a four-hour dinner. He was extremely iron-fisted with the team, but he was delightful afterhours. Black: The heat at Sebring was so bad Chiti usually wore a four-knot hankerchef on his head. He would pour vodka on his hands and then splash it on his arms, face and neck. "Vodka leaves no after-aroma like bourbon or gin." he explained. Tenney: Well, we were wondering about Chiti's English. I remember being in the parachute building at Sebring drinking some Italian wine that Chiti had bootlegged inside some parts boxes from Italy. Chiti told a joke - of course this was all in Italian - but everyone laughed so hard at the joke, I became caught up and began to laugh right along even though I didn't understand it. Chiti whirled and fixed me with a mischievous look. I'll never forget the raised eyebrow and piercing eyes. He said in accent-free English "Speak Italian, do you Paul?" Black: You got him back, though. 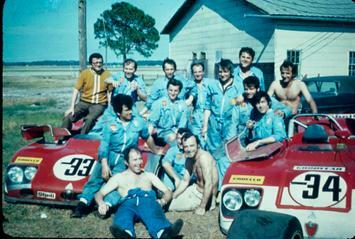 There was the time at Sebring - it was in the mobile home behind the pits. You looked into Chiti's little black medical bag and asked him, "Do you have a license to practice medicine?" Braden: So far as the history is concerned, Chiti was born in Pistoia on December 29, 1924 and joined the experimental department of Alfa Romeo in 1952 as an engineer, helping Satta to develop the Disco Volante. Little: He was very careful about keeping design details secret. 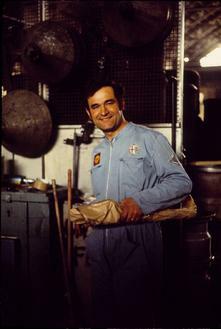 He developed new body designs, such as the periscope intake behind the driver for the grand prix cars. Occasionally, a magazine would get spy photographs of his Balocco test sessions, but those were rare. One of the pictures I've got shows 1969 and 1970 prototype bodies covering the cages of the stray animals he kept. He was doing "aerodynamic testing". Black: He was a trained aeronautical engineer. You may not be able to imagine Chiti flying a J3 Cub, but he did - in the early 1950s when he was very thin. Braden: In 1957 he moved to Scuderia Ferrari where he was credited with the development of both the mid-engined race car and the rear spoiler, a design which led directly to the use of the rear wing. Little: He had an extremely active mind - always restless and always dissatisfied with the current state of the art. He made no effort to document the past, including the birth or evolution of his racing cars. That attitude made it almost impossible to get a proper replacement part for any car Chiti worked with. Mike Ryan tried to get a replacement camshaft for his Stradale. He ended up with six unsuitable samples, simply because the documentation was lost or disregarded. Black: There's a biography on him. It's Chiti Grand Prix, by PIero Casucci, from Automobilia in Italy. Braden: Chiti left Ferrari in 1962 to design the A.T.S. 1.5 liter V-8 grand prix car for Scuderia Serenissima. 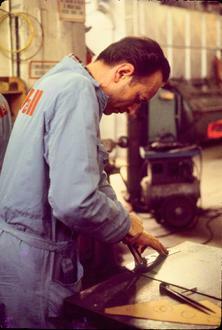 But in early 1963, he returned to Alfa Romeo to help put together the organization which would later become Autodelta. 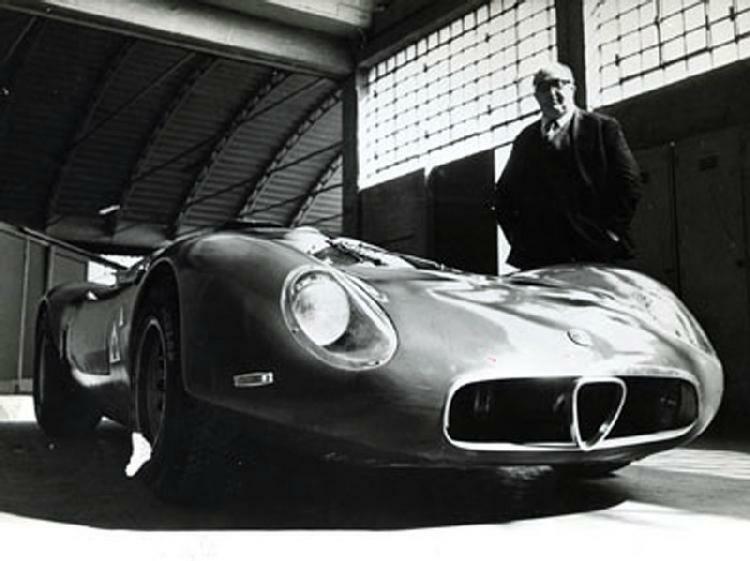 In 1965 Alfa turned over all its racing activities to Autodelta and Chiti became its director general. Chiti's first assignment was to put the TZ right. As part of the "sorting out", Chiti created the TZ-2 with lowered chassis and bodywork. Chiti's next assignment was to take the GTA racing. The GTA won the European Touring Car Championship in 1966, 1967 and 1968. According to Peter Hull and Roy Slater, "The success of these cars over the next three seasons was almost embarrassing." Several versions of the GTA were created by Autodelta as the GTAm cars, including the GTA-SA, a turbocharged coupe which used oil pressure instead of exhaust gasses to spin the twin turbines. Black: In my life I believe I have met four, maybe five persons I would classify as "genius." Carlo was one of those people. One late night at Sebring, while we were hiding from the sheriff (testing on the runways at night while Sebring was still functioning as an airport), Carlo looked up at the clear Florida sky, pointed to a constellation and started naming its component stars. He must have gone through eight or nine constellations, star by star. Braden: Chiti next turned his attention to a new sports-racer under development by Satta. Originally known as the type 105.33, this series later became known simply as the Type 33. Little: I remember the re-engineering of the original T-33. The chassis was originally made up of 10" diamater tube sections in an H-shape. The tubes were bladder-filled with fuel. The T-33TT8 and the T33TT12 chassis used Satta's design of 1.5" fuel and oil carrying titanium piping to get additional rigidity. The Autodelta staff in Settimo Milanese helped in this. Chiti soon found that his competitors, Lola, Porsche and Ferrari, all had a weight advantage because they were using a lighter monocoque construction. At Daytona in 1972 we had excessive tire wear because of the extra weight of the tube chassis, but Chiti stayed with the design, in part because it would help save the life of a driver in an accident. Zeccoli (Alfa's chief development test driver at Balocco) put a Type 33 straight head-on into an earthen wall at over 100 mph and credited the TT chassis with saving his life. Little: Chiti was deeply affected by the death of a driver, such as the loss of Lucien Bianchi at LeMans, and he was driven to find safer ways of building race cars. He and Ing. Garbarino developed and patented the Fluobrene cellular fuel tank in early 1970. It was a cellular matrix with anti-slosh foam which mixed Freon 1142B2 with fuel during an impact to make it inflammable. This was a great step in safety and Chiti offered it to any competitor who would use it. He campaigned the CSAI and then the FIA to make it mandatory, but it didn't catch on because there were capacity and weight penalties. In my opinion, some of the builders of the era displayed an "expendable" attitude regarding their drivers. 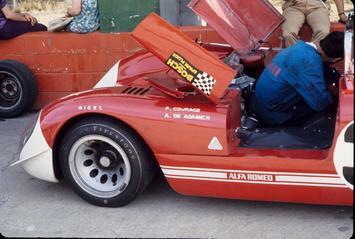 Braden: In 1982, Alfa Formally withdrew Autodelta from Grand Prix racing. In 1985 Chiti joined Motori Moderni to develop a flat-12 grand prix engine for Subaru for motor racing and hydroplane competition. Motori Moderni continues as a development group and also serves as a show for the restoration of vintage and classic cars. Little: Living inside the Autodelta factory in the "Infirmaria" as I did for a while in 1972, I came to know the stray dogs and cats, some injured or sick, that Chiti would rescue from the streets of urban Milan. They would be fed leftovers from the lunch-time cafeteria and patrol every inch of the walled factory for rodents and nighttime intruders. They also provided company to the workers who were fabricating GTAms, T-33s and rally GTVs. Black: Everyone knows that Chiti was an animal lover. His apartment in Milano was always occupied by convalescing small animals picked up on the streets. Little: One evening I asked Chiti why he collected so many strays. He struggled to express himself, using what few words he knew of English at the time: "Danger...for life." Those words were indelibly impressed into my heart and mind, serving to symbolize for me his great compassion and respect for life. Black: I remember eating in a posh outdoor restaurant, high in the mountains overlooking Forte Dei Marmi. There was a large crowd of people, including Surace, the President of SPICA (Pinkerli) and some other friends, including me and my wife Margaret. Margaret sat next to Chiti because no one else dared. There was a high vine-covered wall behind Chiti and some "restaurant cats" were overlooking our long table. After finishing a piece of chicken, Carlo would throw the bones over his shoulder onto the wall for the cats to enjoy. Everyone turned white, except Margaret, who joined Carlo in throwing chicken bones over her shoulder. From that moment, Carlo knew Margaret had seen through his antics. Never again did he eat from her plate, another tactic guaranteed to shock visitors. Braden: Don, the last word's yours. Black: Another Alfista has gone to the big test track in the sky. The remaining few are watching the end of an era. The tradition and memories soon become "history", to be preserved by you, the enthusiast reader. "In Rememberance: My Friend Ing. Carlo Chiti"
Thank you also for your invitation to participate with my memories to your inquiry about Chiti and Autodelta. I would like to explain few basic facts. I was not an important actor in the game. Just a lucky young man that happened to be in right place at the right time. My story was a simple one. I am Italian of clear Serbian origins, and beside engaging in some modest racing activity, in those years I had owned (together with few other friends-partners) a small Alfa Romeo based racing team created with some help from Jorge De Bagration and Peter Monteverdi.... with the intention to rent well-prepared racing cars to private drivers. 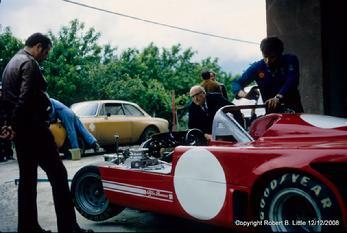 Ignazio Giunti, a great driver and a close friend of mine introduced me to Carlo Chiti in 1966. In the intervening years I became first a client with good relationship with the “Boss”, then a kind of a friend, and we had spent many good times, good wines and good food together. Chiti was a person of vast culture and numerous interests, and was a splendid conversationalist . I have to admit that I haven’t witnessed anything important in the life of Autodelta nor did I take part in Chiti’s activities in that period. Just friendly chatting about everything and everyone, and as I had lived in Milano, the occasions to meet him were numerous. Today, I belong to a small group of “old friends”, survived from those glorious times that share memories and meet from time to time to remember absent friends and good old days. 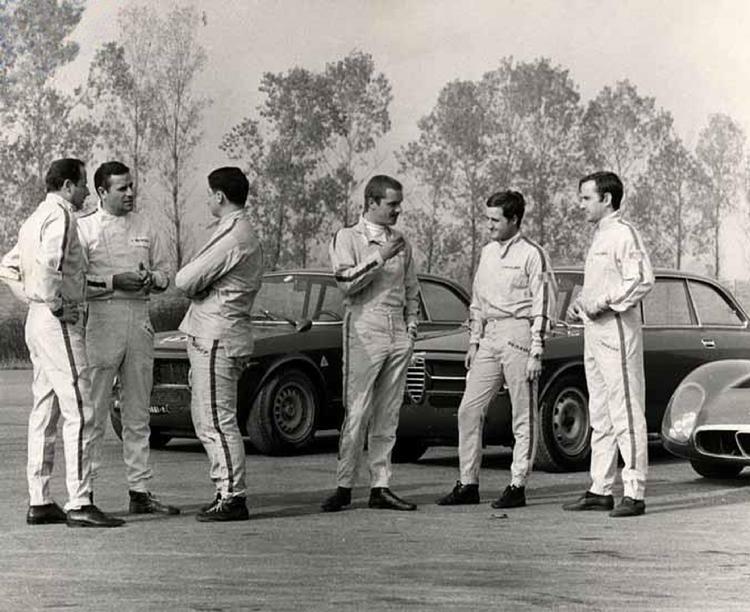 Some of us have touched the peaks in racing sport and some (like me) were only participants of that fascinating world. All my memories that I have sent to you are connected to the period 1967-1972 when I was in touch with Autodelta and Chiti. From 1973 I transferred from Milano and (alas) my relationship to Chiti was reduced to exchanging Christmas cards and only few telephone calls. Don Black is certainly not new name for me, and I am pleased by his compliments and the comments he made in your story written in 1994. Here are some fragments of my memories, and as a contribution to your knowledge about Chiti, there might be some unknown details and “small” secrets or something that could enlighten or support your point of view. This is my personal reminiscence that you can use. I had met Chiti for the first time on one cold and rainy mid-February day in 1967. 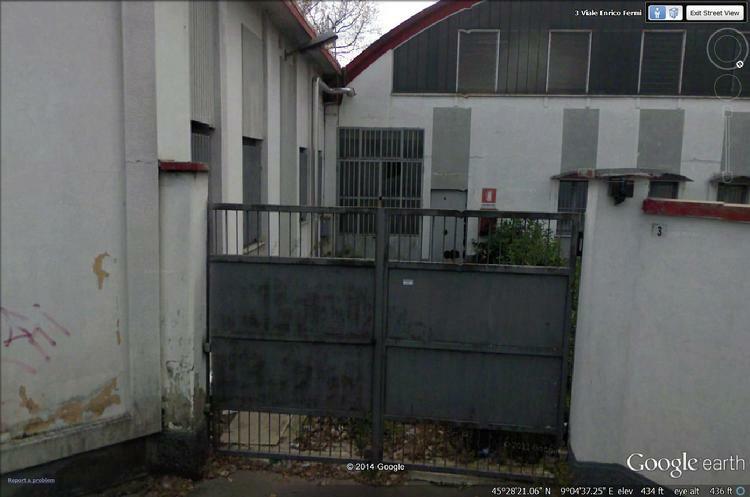 It was Ignazio Giunti who had arranged that appointment at Autodelta in Settimo Milanese, and we were there waiting for “Uncle” (as drivers used to call him) who was late. He arrived, huge, volcanic and loud and immediately I got impression that I had known him for long time. I remember his way of speaking with a strong Tuscan inflection, his educated yet familiar moods and his omnipresent dogs. He brought us back to downtown Milano to “his” restaurant “Alla Collina Pistoiese”.... not far away from the Duomo... a kind of his informal office where he performed the role of “Big Boss” with natural generosity. So started our friendship, and for the almost five years that I was in contact with Autodelta we shared more than our mutual passion for dogs, racing cars, good books and many other things. He was the undisputed master of informal conversation and surprise discussions by virtue of his vast knowledge of culture and erudition, but he was also capable of absolute silence about his professional activity. You could not hear from him any technical detail or any anticipation about the affairs at Autodelta Settimo Milanese. It was a kind of a taboo subject, equally as he did not have an ideal relationship with the House of Alfa Romeo, particularly with the staff of the Servizio Esperienze Department where he was considered someone who encroached upon the hard-won honors for the team work of Busso, Satta, Nicolis, Garcea, Surace, Russo and others, as TZ, GTA and even the initial 33 concept were planned and produced there, and Chiti’s assignment was to make them victorious. There was evident shortage of sympathy between Chiti and other managers at Portello and Arese. Chiti was seen as Luraghi’s invention and only the loud sound of victorious Alfa racing cars gave him permission to continue. 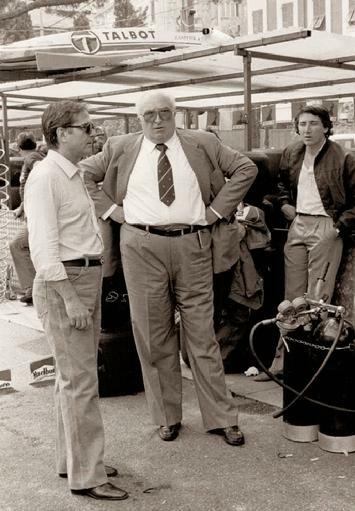 Although nobody suspected or appreciated his enormous talent and curriculum at Ferrari and ATS, he was often accused of exploiting the ideas and solutions of others. It was obviously not the truth as he was a real genius... capable of immediate solutions and revolutionary innovations and also one of the worlds' most validated and honored engine designers with great intuition. When the winds had changed in Alfa’s decision rooms and Autodelta’s parabola has come to its end, the farewell to “Big Carlo” was rather unfair and he left his Alfa Romeo career pretty embittered. He was never interested in money, and just searched spaces and opportunities to try and prove his ideas, sometimes capable of hours and hours of continuous work that he also expected from all his technicians. As he was generally beloved by his crew, that devotion to work from those around him was also possible. It was common to see him under heavy rain at Balocco track measuring for hours lap times and vehicle handling dynamics and trying to understand difficulties. He had considered Teodoro Zeccoli, Autodelta’s test driver... an excellent driver, a kind of his own extended senses... and trusted him blindly. There was perfect interplay between him and Teo and that was surely crucial for many of Chiti’s decisions. Drivers generally considered Chiti as a kind of close relative. As they all were chosen by Chiti personally, their rapports were good and cordially though he had preferences that he never outwardly manifested or openly confessed to de Adamich, Giunti, Galli and Hezemans were pilots that he liked more (I am speaking exclusively about early years of Autodelta, until 1973) and with Merzario was evident a kind of personal sympathy. Among the young, rising stars, the “winning factor” (as journalists called him) Gian Luigi Picchi, had a particular popular standing, but when he suddenly decided to abandon races, Chiti had accepted that decision saying that Picchi was absolutely right, being pilots only “cannonball meat” in the cruel racing battles. His visions of racing were decidedly technical and oriented to the future, and the fact is that he never spoke about past times or 'history' willingly. He was considered a key engineer at Ferrari in the “golden years of 250GT”, the one that had convinced Drake to accept rear engine design as the future solution in racing car engineering, but he was also one of the “Fallen Rebel Angels” of Maranello in ’61. 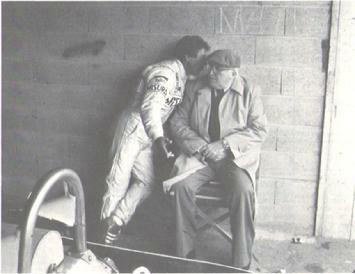 That was discussed in various moods, and seen mainly as a sign of his disagreement with Enzo Ferrari. 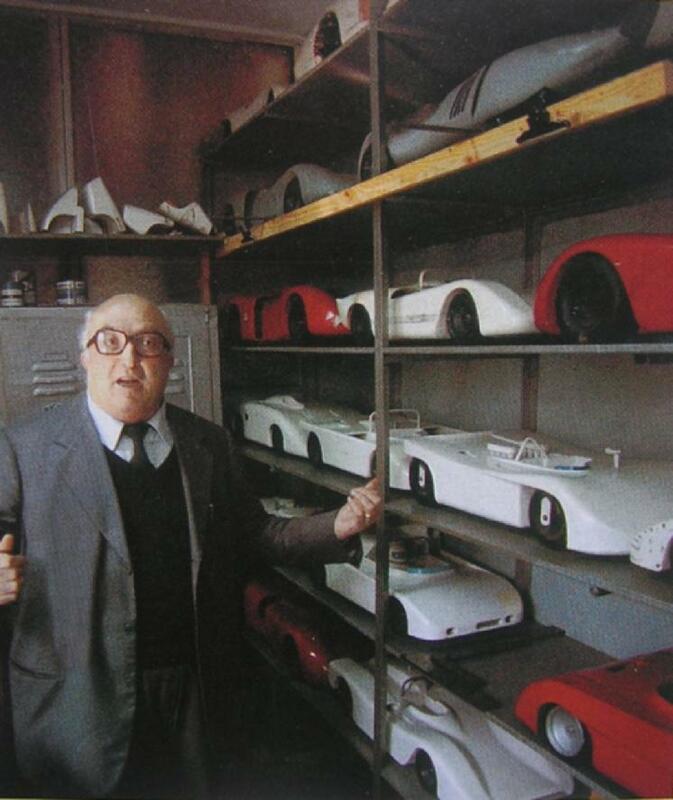 In those years I was obsessed with Enzo Ferrari (in positive sense), and so I had asked Chiti to explain his decision to leave SEFAC Ferrari S.p.A.. 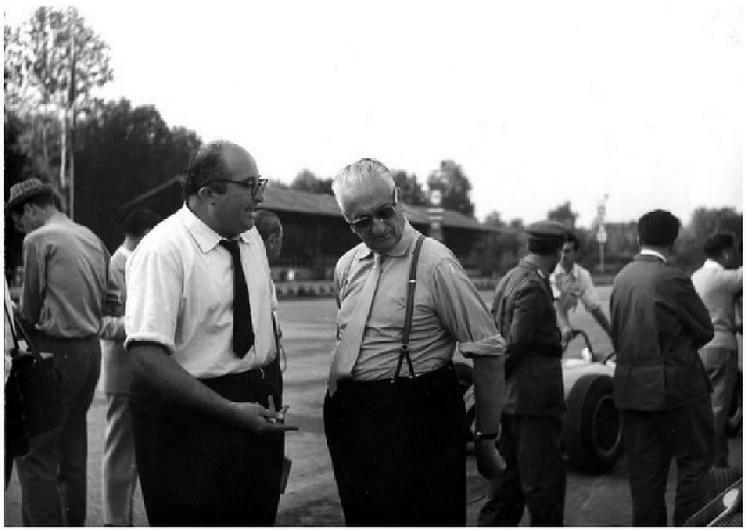 He told me sincerely (I am sure) that he took part of the group only as a sign of solidarity with Gardini, Giberti, Tavoni and Bizzarrini (who was Tuscan like himself), and that between him and Enzo Ferrari there was not any serious disagreement. Indeed, he added words of real sincere respect towards Ferrari, depicting him as extremely capable and with good intuition, but somewhat over-sensitive to the gossip and slanders (that was exactly the word he used) that his “spies” regularly presented to him. The fact is that Chiti was also haunted by “spies” that he was sure were placed all around him, and who reported promptly to the “friends” in Servizio Esperienze everything that had been happening in Settimo Milanese. I remember well the episode that explained that sort of his conviction. He had high opinion about British racing car engineers, Chapman, Duckworth, Costin and Campbell and I brought him as a gift the book “The Sports Car Engine” by Colin Campbell (in English) from Switzerland (as it hasn’t been published yet in Italy), and while he was flipping through pages to see its contents, there came in his office engineer considered a “spy” by Chiti. He showed him the book and with his Tuscan sense of humor told him that after learning important things from that manual, he would be ready to produce winning car. Later he told me seriously that I could be sure that this fact was relayed back to the “friends” as he called managers from Servizio Esperienze. A year or so later, I was invited at his house at San Siro quarter in Milano, and with immense delight, I saw that book on his table. 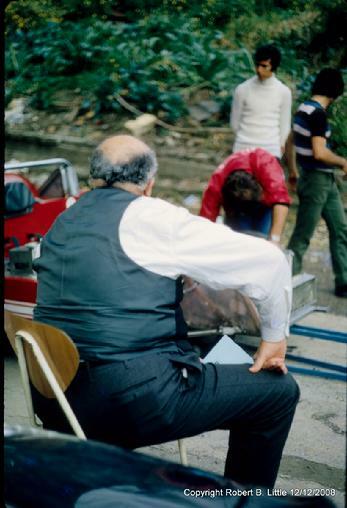 Anyhow, his relationship with the “Big Boss” in Alfa in those years, Giuseppe Luraghi, was good and cordial based on mutual sympathy and respect. 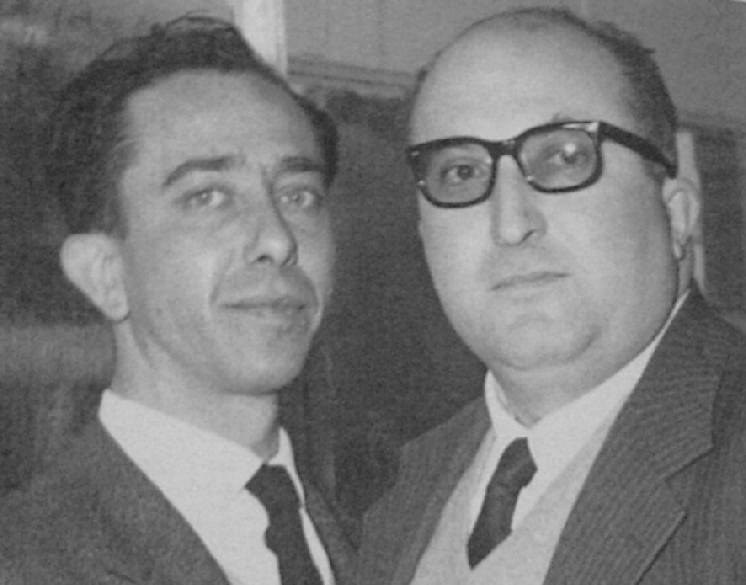 He also preserved friendship with co-founder of Autodelta, Lodovico Chizzola, although the Chizzola brothers had decided to remain in Udine and left the Autodelta enterprise. Chiti had a little bit of an antiquated vision of management and Autodelta was judged and autocratically so by his personal will and domain through the actual motor racing end of the business...but pertinent decisions concerning everything else (finances, trading and administration) he delegated to qualified personnel. 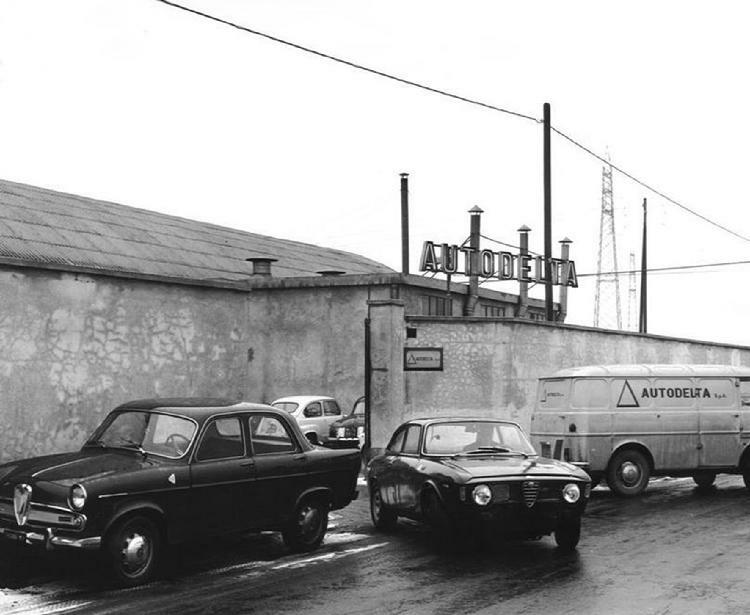 After Luraghi was sent to another function and after a short and successful collaboration with Cortesi, new Alfa’s Board of Directors led by Massacesi took a different approach to the sports activity of the Factory, and Chiti’s relationship with “decision board” started to deteriorate rapidly. He remained each day more alone... with continuous pressure from the House of Alfa Romeo...and without the necessary time to develop new weapons. Victories also began to disappear from his Autodelta curriculum. 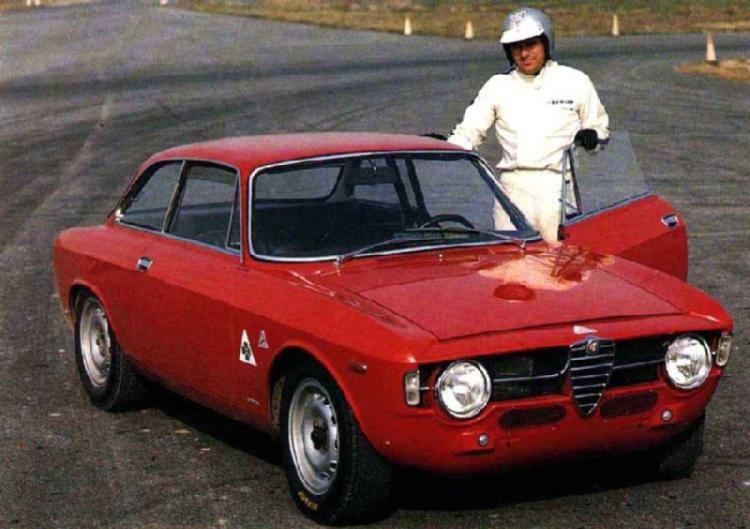 Almost 'ghettoized' and without support.... Chiti was embittered and quit his more than 20 year long career at his once beloved Alfa Romeo to start a new one with Motori Moderni, being absolutely sure that he could add still fresh blood to car racing. Courtesy of the archives of Vladimir Pajevic-Pale`. Courtesy of the archives of Vladimir Pajevic. "Quick...Take a Peek!" One visitor to this website had in 1978 the occasion to travel to Autodelta seeking camshafts for his Alfetta GTV 2000. He testified in the Visitors Comments section that all he saw were walls...walls everywhere and guards restricting his mobility. 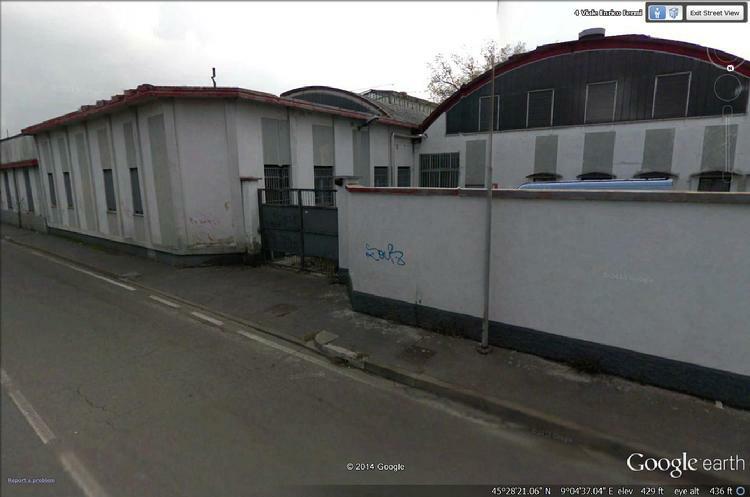 Here is a rare peek at what the inner courtyard area looked like...where tractor trailer trucks or Giulia Colli's pulling a long trailer heavily wrapped with tarpaulins would be packed up in this courtyard prior to the iron gate being opened and the vehicles entering onto Via Enrico Fermi. Secrecy was important and Balocco testing was frequent and as secret as Autodelta could reasonably maintain. Chizzola and Chiti. 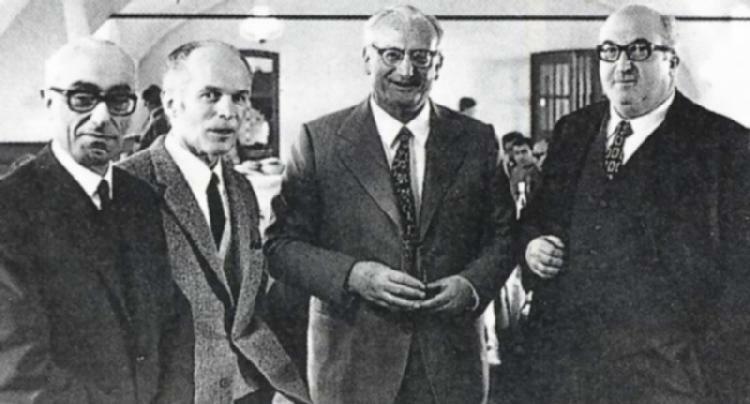 The original founders of Autodelta in Udine. Photograph courtesy of the archives of Vladimir Pajevic. Sig. 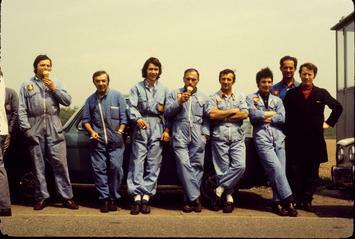 Zeccoli, second from left most assuredly recalls the Balocco test session crash he lived through in an early T-33/12 I believe, where he lost braking efficiency and slammed his test car head-on into an earthen embankment at over 120 mph…suffering the complete loss of his upper front teeth but, thankfully… nothing else! His life was saved on that day because of the tubular chassic design specified by Ing. Chiti …who had seen many of the finest racing drivers of his day die needlessly in crashes while piloting relatively fragile racing cars. The loss of some of the drivers mentioned in this article who had perished in the 1960s had touched Ing Chiti deeply …especially the death of Lucien Bianchi during a practice session for the 1969 24 Hours of Endurance at LeMans causing him to withdraw his team from that race and to eventually turn Alfa Romeo and Autodelta sharply away from the ‘drivers are expendable’ ….’super lightweight fragile racing vehicle’ philosophy made boldly fashionable by Mr. Chapman, Mr. Ferrari and Lola racing designers…for example. 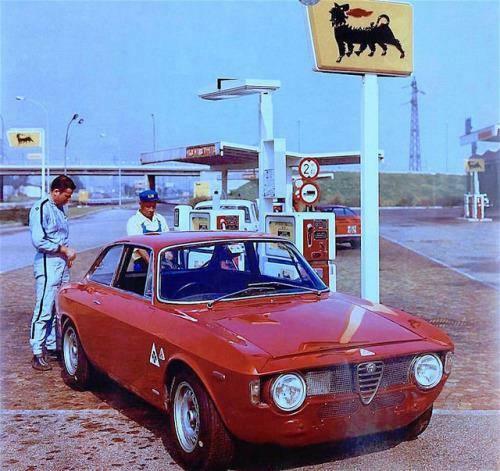 Photograph from the archive of Alfa Romeo S.p.A. The very first GTAJ Chassis number AR775001 in steel with Teodoro Zeccoli at Balocco. Ing. Satta, Ing. Busso, President Luraghi and Ing. Chiti. From the archives of Vladimir Pajevic. Messrs. Marcello Gambini chief mechanic, Giovanni Manfredini, and Paolino Fiore, engine specialists that stayed much of their time in the dyno room, Pietro Maggi, Mr. Matati, Gobbi and Vaifro Vignoni all from engine repair and assembly in Hangar 2, Enzo Bulgarini, Luciano Avosani, Giuseppe Carraro, Antonio Damascchino, Arturo Faccioli, Giuliano Luppi, Giovanni Menati, Umberto Spregiaro, Ermis Peressutti, Ettore Vicario, and also Stroppa, Settimio, Liuni, Lucchi, the Moscardo brothers, Vanzo, Enrico Maestri, Longhi, Vittorio Berno, Diego Della-Rosa, Renato Melchioretto, Shop Foreman Guiseppi Callegher, tire changer and wheel balancing expert Milani, Fabbri, Leopardi, Paris, Taverna, Tosello, material handler Del Geloso, Roberto Favin, Nicola and Beartrice Paone, and last but not least the beloved, loud and animated truck driver Mr. Calloni. 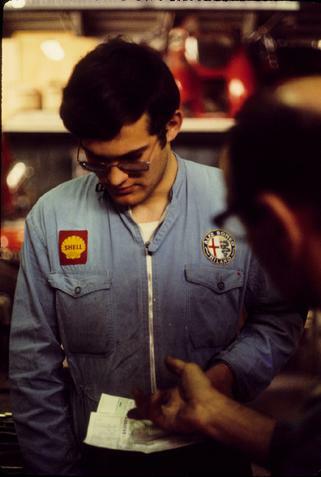 Later came Mr. Ermanno Cuoghi who became chief mechanic at Autodelta for F1 engines and who continued to serve as the personal mechanic for Niki Lauda... both of whom came from Ferrari to the Brabham Alfa project. Those names referenced above and many more terrific men like them formed the complete team that travelled as vagabonds campaigning Autodelta cars throughout the world together with tons of materials to repair cars, engines, suspensions or simply to perform miracles on the spot. What made them so devoted and long lasting to Autodelta was unlimited and tireless love for Alfa Romeo and their deep sense of personal pride to be a part of the History and Tradition of the Quadrifoglio. To conclude this long article "Inside the Walls", Vladimir found a beautiful Latin citation that Italian journalist Zigliotti used to describe Chiti’s rise and fall (1963-1983): “Inquissima haec bellorum condicio est; Prospera omnes sibi indicant, aduersa uni imputantur”. "The unfair aspect of war is the fact that victory is claimed by everyone, and defeat has only one to blame." Nothing ever depicted better Chiti’s fate. 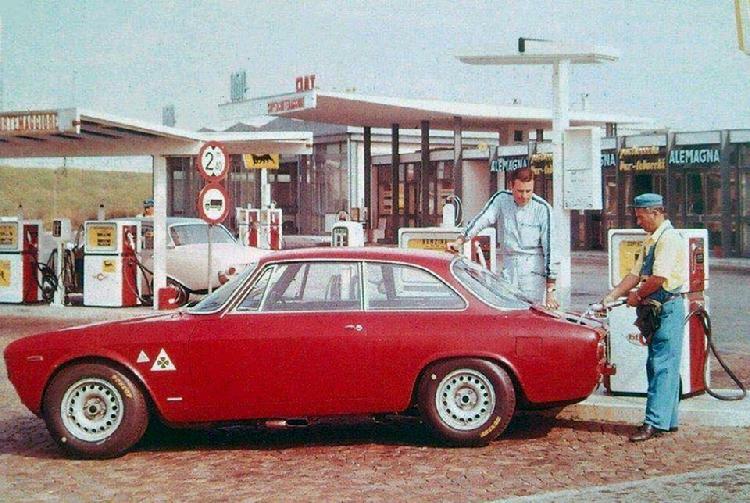 I hope you have enjoyed this serialized glimpse of this truly remarkable Alfa Romeo leader and his group of highly dedicated men. My dear friend "Senora Domestica Numero Uno". My dear friend "Senora Domestica Number Due". A truly rare item, the funeral memorial badge created upon the passing of Carlo Chiti and distributed to those honored few who were admitted inside the church where he was mourned. The only such memorial badge distributed to an American was this one presented by Ing. 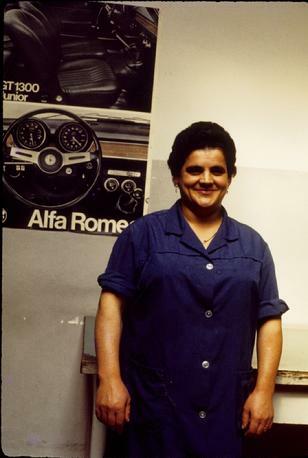 Chiti's wife Lina to Alfa Romeo Technical Director Don Black who considers this his most prized and revered posession. "...Through these portals passed some of the most exciting racing cars ever conceived and constructed....the doors are now closed forever...". View of # 7 Enrico Fermi in December 2015 photography by Alfa Romeo enthusiast and our Contributing Editor Ulrich Zensen.